Consumables There are 23 products. 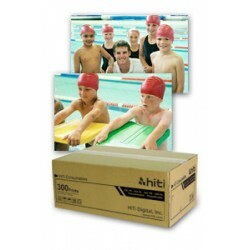 HiTi 4" x 6" Ribbon & Paper Case is designed to work perfectly with HiTi Photo Printer P510 Series. 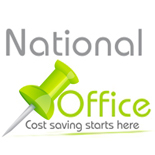 This case includes 2 rolls of paper and 2 rolls of ribbon, 330 prints per roll and total 660 prints per case. 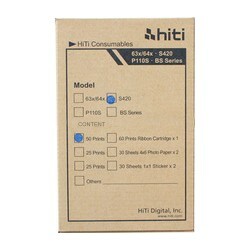 HiTi 6" x 9" Ribbon & Paper Case is designed to work perfectly with HiTi Photo Printer P510 Series. 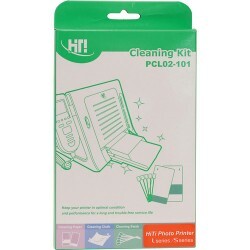 This case includes 2 rolls of paper and 2 rolls of ribbon, 150 prints per roll and total 300 prints per case. 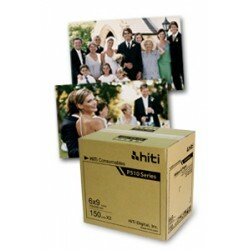 300 Images Photo Paper Case, the commercial pack, designed to work perfectly with HiTi Photo Printer 63XPL/PS/ID, 64XPS/GALA/ID, Photoshuttle, and Transphotable. The overcoating layer, generated by Magic Coating Technology, separates the color dye from air, offering photos extra longevity and resistance against water, ultraviolet and fingerprint. 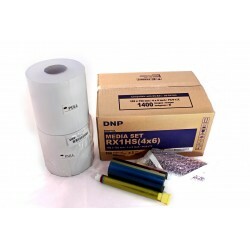 This 2-pack of DS6204x6 4 x 6" Roll Media from DNP is designed for use with the DS620A Photo Printer. 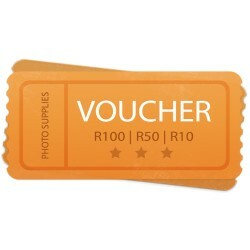 It enables print sizes of 4 x 6" or 2 x 6" in a 2-up photo strip. Each roll with produce a yield of about 400 4 x 6" prints for a total of 800 photos.